The growth drivers for the network airlines were the Zurich hub and the Munich and Vienna hubs, with passenger growth of 9.5 percent, 9.3 percent and 8.5 percent respectively. The number of passengers at the Frankfurt hub grew by 4.7 percent in 2018. 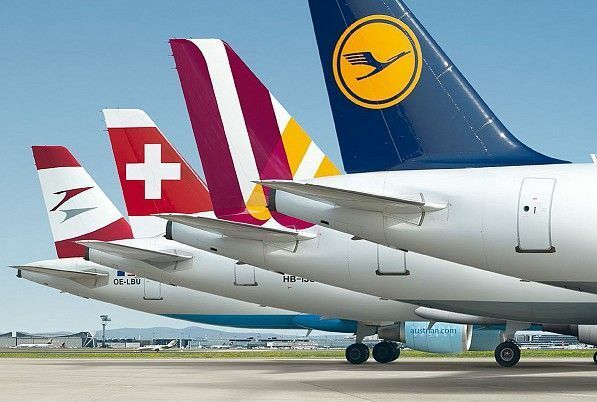 Eurowings also contributed to the Lufthansa Group's new passenger record in 2018 with a growth of 18 percent. In December, the freight capacity was 4.7 percent higher than in the previous year and the tonne-kilometers sold 0.4 percent higher. This results in a payload factor of 66.1 percent, which is 2.8 percentage points lower. In 2018, total freight capacity was 4.3 percent higher than in the previous year. At the same time, sales increased by 0.8 percent in this period. At 66.4 percent, the load factor was 2.3 percentage points lower than in the previous year. This represents an increase of 9.9 percent over the previous year. The 19.5 percent increase in the number of flights on offer in December was offset by a 17.5 percent increase in sales. At 78 percent, the seat load factor was 1.4 percentage points lower than in the same month last year.